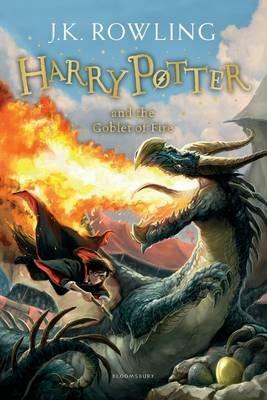 Harry Potter and the Goblet of Fire, by J. K. Rowling, is the fourth book in the Harry Potter series. When the Goblet of Fire makes its selection, Harry is amazed to find his name is one of those that the magical cup picks out. He will face death-defying tasks, dragons and Dark wizards, but with the help of his best friends, Ron and Hermione, he might just make it through – alive!